Update (2017): Missing Marbles is now permanently closed. When it comes to new cafes, it’s not only the Klang Valley and Kuala Lumpur which has seen a boom of such places offering unique themes, cosy ambience and interesting new/fusion food. 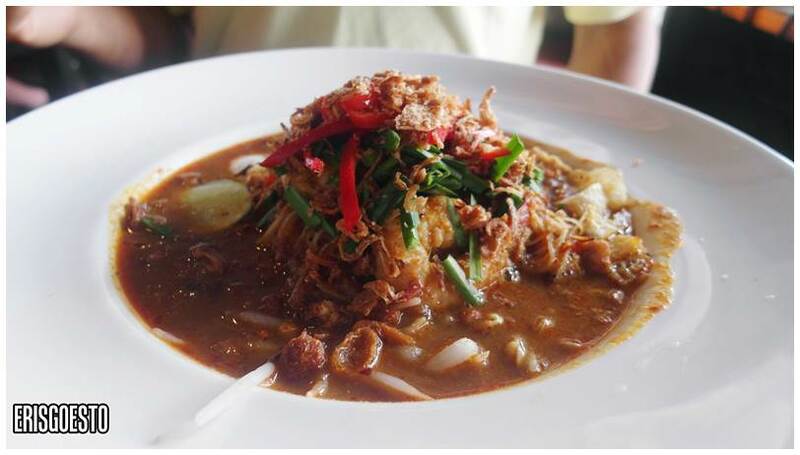 Just two hours away, the sleepy town of Ipoh is seeing it’s very own up-and-coming trendy hangout spots. 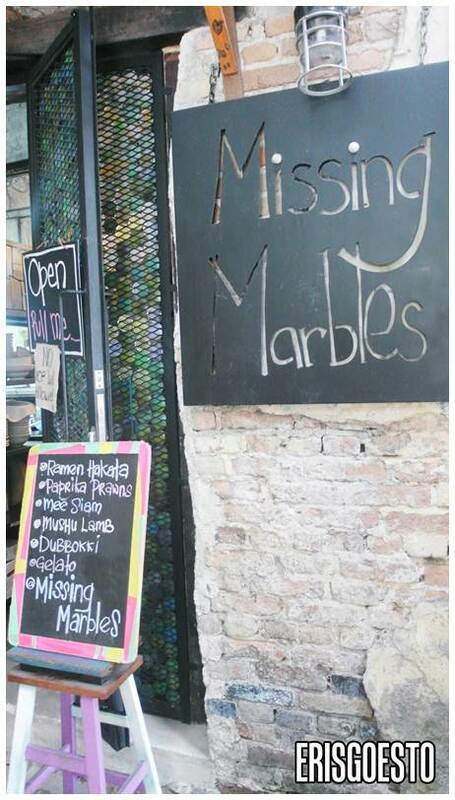 One such place, located smack in the middle of Ipoh’s Old Town, is Missing Marbles. Reminisce about the good ol’ days in this rustic outlet which exudes old world charm. Housed in a former optical shop, a large part of the interior has been deliberately left untouched – so you will see flaking wall paint and creaky old doors, amidst cute and quirky decorations. Missing Marbles serves both Asian and Western food with a twist – everything from burgers to bagels, to rice and noodles. 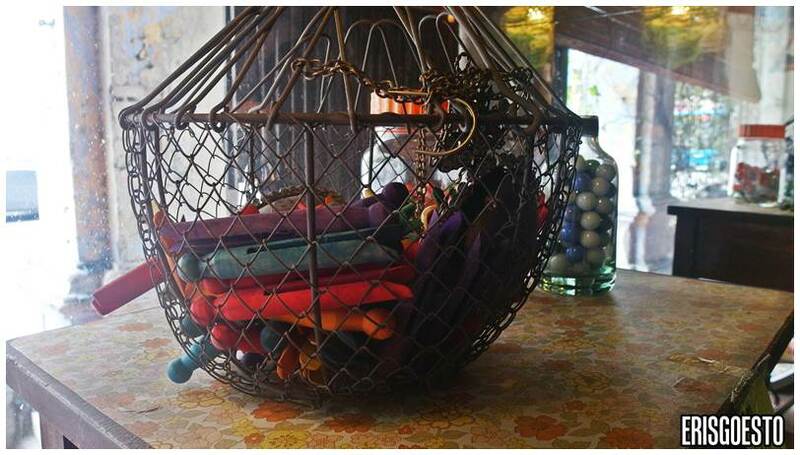 Nostalgic items act as decor; everything from crayons to marbles (the name, see?) to handmade stuff like knitted lampshades. 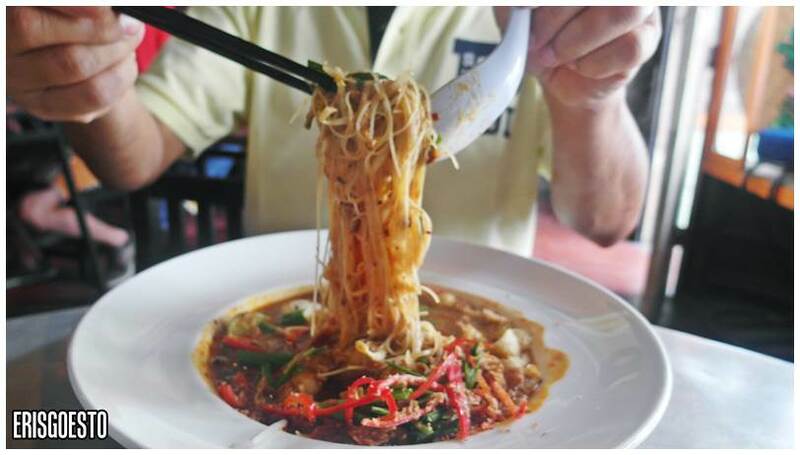 Pops ordered Mee Siam (rice noodles), which came swimming in a large plate of broth, crunchy fried onions, chillies and vegetables. 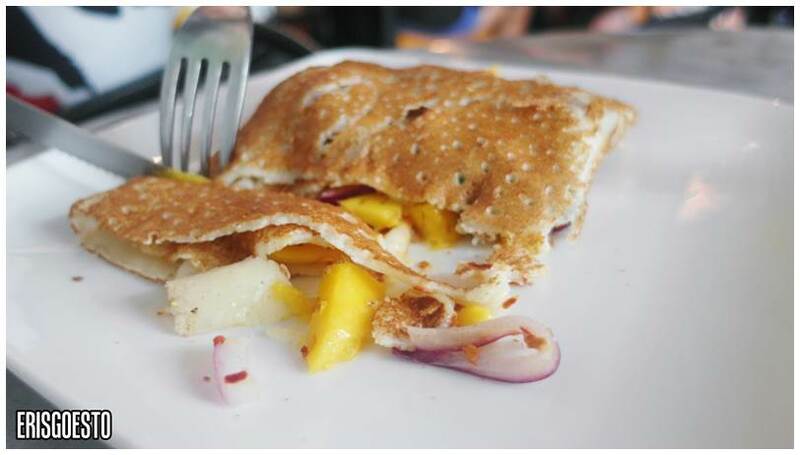 Mi had an interesting crepe combo, with chicken, onions and mangoes. The combi was like a fresh, sweet and savoury Thai salad – tasted really good! The skin was also soft with a light, airy texture. 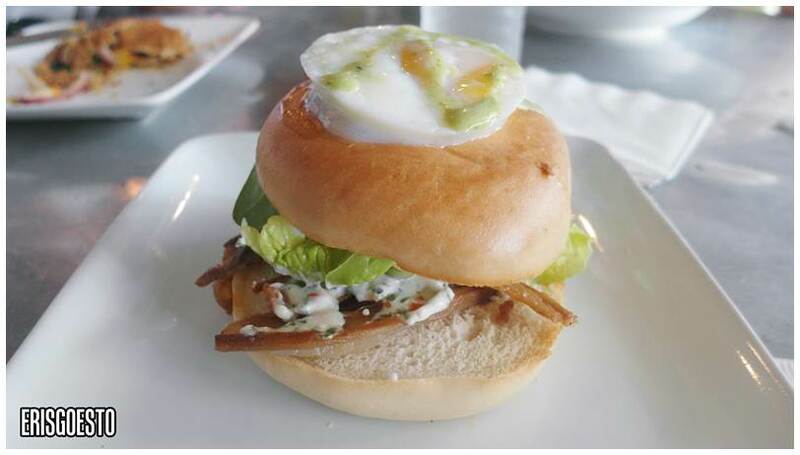 As for myself, I had a bagel dish served topped with fried egg, lamb rashers, mayo, onions and lettuce. The egg yolk was runny so when I cut into it, it oozed all over the bagel omaigad. Unlike burger buns, the bagel’s crunchy texture gave it an extra oomph, and the greens were very fresh too. I liked the lamb rashers which had an even amount of fat and lean meat, although it was slightly on the salty side. The serving was just enough for small eaters. Bro had smoked salmon bagel (pic was blurry so I didn’t upload) which was decent too.